I used to think of orthographic projection strictly as drafting technique: those technical drawings, by which any 3-dimensional object could be described in 3–6 views. In recent years, however, I’ve noticed it turning up as a packaging scheme (see: Mac G5 box, on right) and it does make a certain sense as a way of clearly indicating what’s in the box. 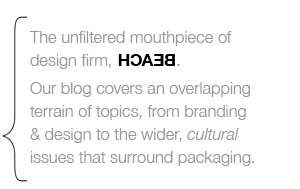 Having the outside of a box so closely correspond with the product it contains, makes the packaging function almost as a proxy. 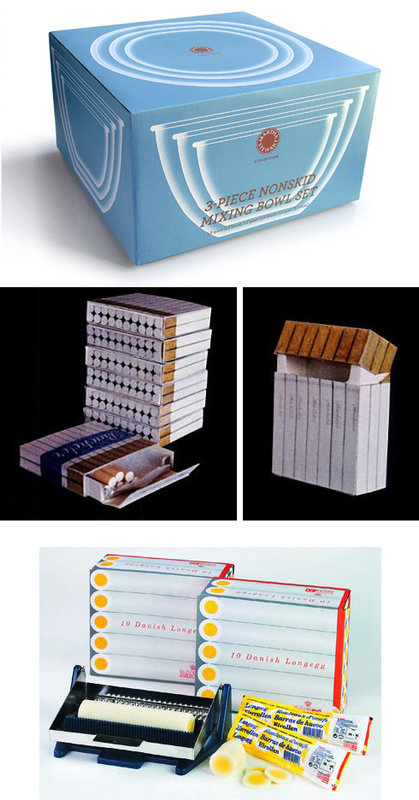 Holding the box, the consumer is, in effect, holding a trompe l’oeil product replica. Each panel serves as a diagram of what’s just below the surface. Almost as if the box was invisible and you were seeing right though it. In situations where an actual die window is not feasible, it’s a pretty neat trick. Packaging system for a specialty aftermarket automotive company. 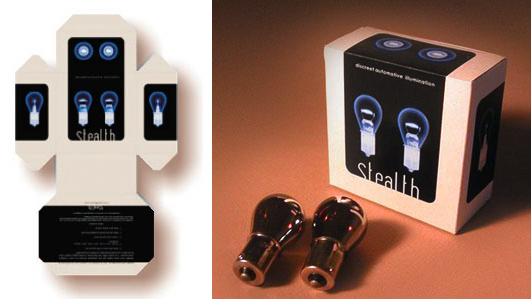 The package uses orthographic “x-ray” views of the bulbs in lieu of clear “windows” to minimize cost. 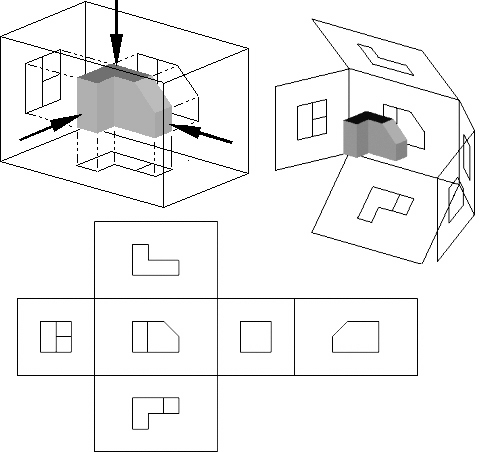 David Graas’s “Not a Box” package clearly shows an orthographic projection of a hanging light with a round shade, but the joke here is that the cube-shaped box is itself the shade and the light is emitted through the misleading lines of the diagram. Internationally it was decided to “hide” a bottle. A bottle is in a bottle. The new hides in the previous. The bottle is a box, the box is a bottle. 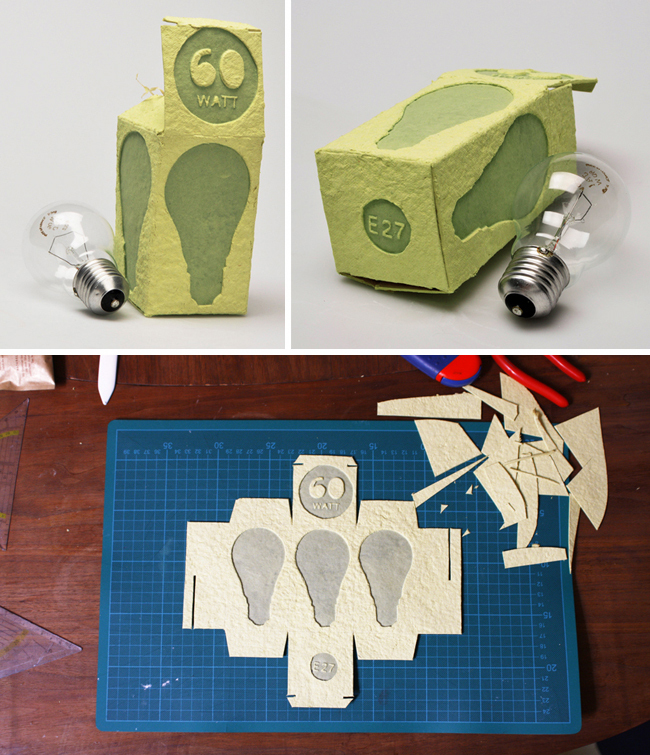 On each side of the box the bottle’s image, the image of it’s each side is placed. 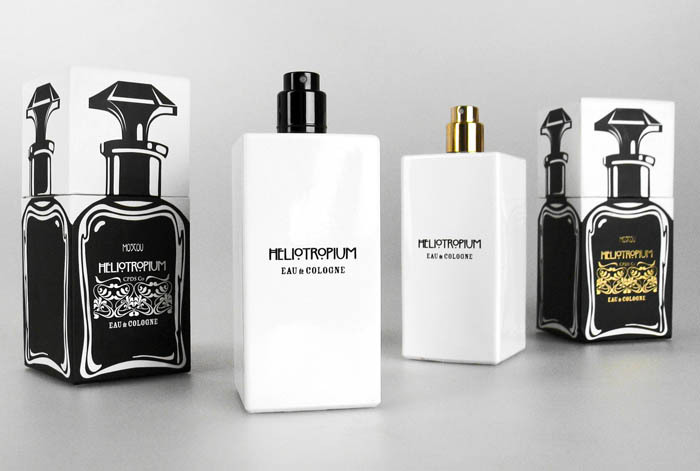 The box is designed in such a way when it opens, the drawn bottle opens too. And inside… inside there is other bottle, the real one.